Weather can be unpredictable! Review the severe weather protocol here and be in the know. Teams finishing in First and Second place may order medals. U15 and above will only receive medals for First place. Any Premier division team will place their order for medals after the spring season has ended. Medals will be available pick them up from the office after October 30th or to have them delivered you may call into the office to pay the shipping fee and they will be mailed to you. If you did not have a full referee crew at your game this fall season, be sure to request a refund of your referee fees. Any Premier division team that players year round may request their referee fees after the spring season has ended. Please note - if your club paid your team's referee fees, your club will receive the refund. Teams playing in the Premier League will play a year round schedule comprised of fall games and spring games. PL teams are allowed two coach initiated reschedules. Teams in the SCL and IRL are registering for both fall and spring. Registration is for two seasons. The expectation is that teams will compete in both fall and spring. Fees will be collected for the full year. Teams that do not play both seasons will not receive a refund of the League Fee. There will not be a realignment (promotion or relegation) based on the high school impacted season, (fall season for girls, spring season for boys). Teams are expected to play their scheduled games, if a team forfeits more than one game during the high school impacted season they will be dropped a minimum of one division at the next alignment. 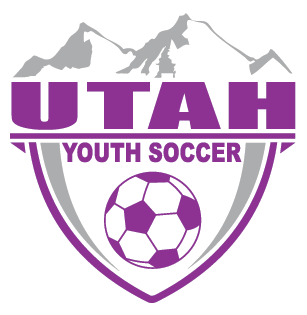 The U15 age group has 4 roster spots that can be used strictly for club pass players. Teams can and are encouraged to use the high school impacted season to further develop players; such as technical and tactical skills, players in new positions, different team formations, etc. Age Group Chart - What is my soccer age?